Patriots or Cowboys for Super Bowl LI? The regular NFL season is over, and now Australian sports betting fans are eagerly awaiting the start of the playoffs this weekend. On February 06, the top two teams after the playoffs will meet to contest Super Bowl LI. With veteran quarterback Tom Brady and coach Bill Belichick on board, the Patriots have made it to six Super Bowls and won four of them, so they are favourites to make Super Bowl LI their fifth. 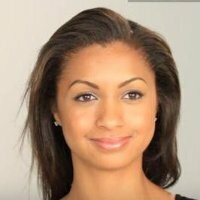 But in the Pittsburgh Steelers, wide receiver Antonio Brown and running back Le’Veaon Bell are widely recognised as two of the best players in the NFL in those positions. Steelers quarterback Ben Roethlisberger, despite an injury mid-season, also has the skills to counter Brady. Overall, it looks like the Steelers present the primary danger to the Patriots. But don’t rule out the New York Giants, either: they may only be seeded fifth in the AFC, but both of those 2-out-of-6 Super Bowl defeats for Brady/Belichick Patriots teams were inflicted by the Giants. At the top of the NFC, the Dallas Cowboys have seemed the team in this year’s NFL with the most balance between all the aspects of the game. Their offensive line is the most punishing, physically, in the NFL, and the lightning speed of rookie quarterback Ezekiel Elliott makes him very dangerous indeed. But to get to the Super Bowl, however, the Cowboys still have to see off the Green Bay Packers. He hasn’t got Brady’s depth of experience yet, but on his current form, Packers quarterback Aaron Rodgers is shaping up to be another legend of the game, so he could counter Elliott effectively. The Packers defensive line is phenomenal, and after scoring more than 30 points in four straight games during the regular season, they have to be the team the Cowboys stand the most chance of coming a cropper against. We will keep betting fans updated as the playoffs progress. 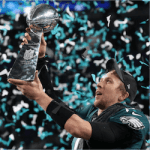 Patriots Stunned as Eagles Take Super Bowl NFL fans the world over got to see an historic first on Sunday, when the Philadelphia Eagles took their first Super Bowl in …. 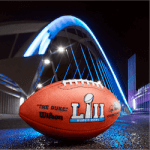 A Few Coincidences in Super Bowl Rematch The 52nd Super Bowl on Sunday, February 4, or Super Bowl LII as the NFL insists on styling it, as if American football …. 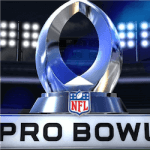 2018 Pro Bowl Triggers Usual Scepticism The 2018 Pro Bowl is set for January 28 in the Camping World Stadium in Orlando, Florida. Fans are rehashing the same arguments they …. 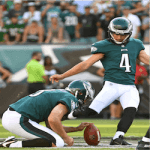 NFL: Eagles Bounce Back from Shaky Start A few weeks ago, Philadelphia NFL fans were starting to dream that the Eagles might have a shot at reaching the playoffs. With …. 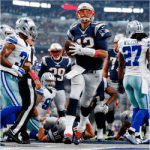 Disallowed Patriots Touchdown Reignites Camera Debate New England Patriots had no trouble beating the Denver Broncos by 41-16 on Sunday, to go 7-2 atop AFC East, second to the Pittsburgh ….